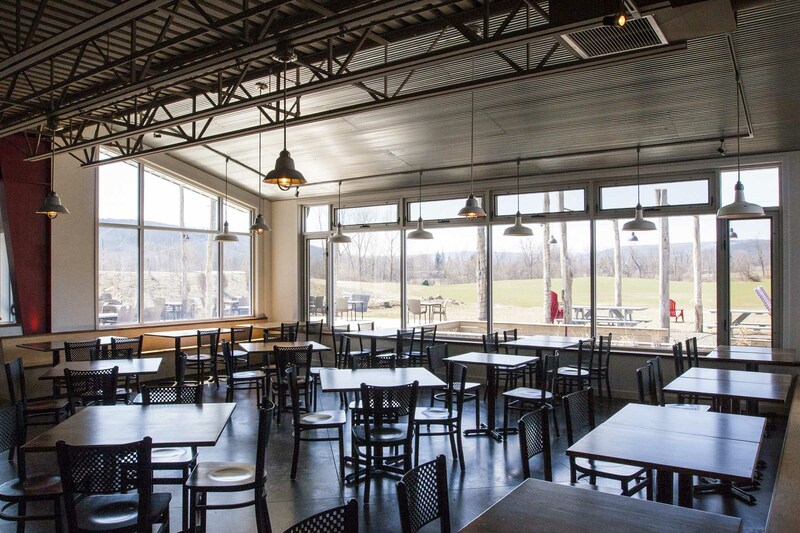 Ithaca Beer’s 18,000sf Restaurant and Brewery exemplifies the company’s vision of a “farm brewery”, marrying industry and agriculture. The company’s new home portrays the unpretentious, mellow and fun quality of the brand. Their industrial sleek brewery sits in an agricultural setting and keeps the company grounded in the community that has supported them throughout the years. 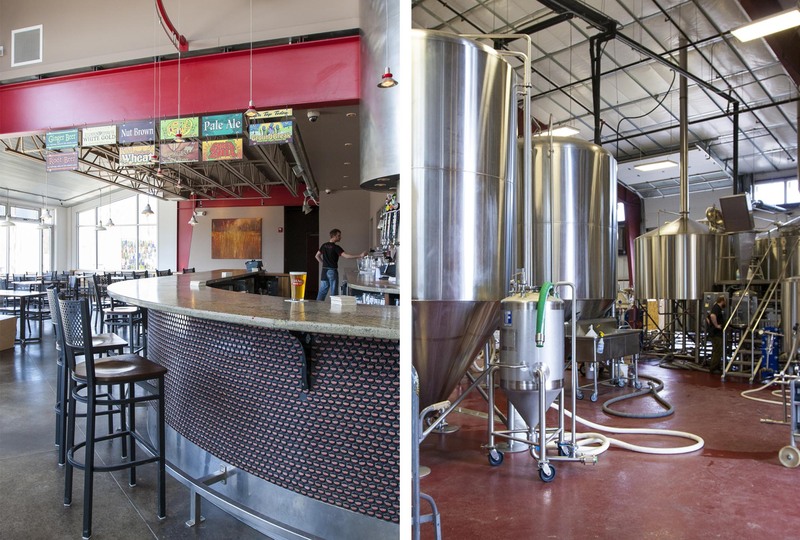 Inside the brewery, the central tasting bar is marked by a handcrafted bar of bottle caps and flanked by a replica fermenting tank. Thin steel channels support lighting and signage and pay homage to agricultural locust poles, atmospheric lighting, and the growth of beer hops. Outdoors, a bocce court, family style picnic tables, Adirondack chairs, and a fire pit accommodate guests and offer vast views that underscore the farm/brewery connection.